When you covenant with us to help equip a pastor your generosity is multiplied in multi-faceted ways to cause servants of God to shine forth the light of Christ to their generation and cultures. This is done through training and mentoring the students using teachers that not only been trained themselves, but also have practical experience in every area of ministry. 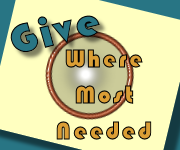 What are some of the things your donation is used for? Although in most cases opportunities for biblical and pastoral training comes with associated costs for the prospective student, Risen Scepter does not operate in this manner. 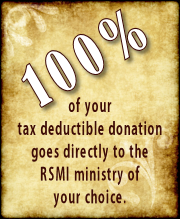 Although there is a small registration fee, easily attainable for the student being adjusted for their economic culture to encourage accountability, all other associated costs are provided at no charge to the prospective pastor through your donation. A one time gift of 300.00 dollars will equip 10 pastors, supplying each of them with the 1st of 10 courses of Curriculum and a Brand New Study Bible! Finally, do you have a heart to help training pastors, yet are not interested in the two options above?